Become a Volunteer at Lowell’s Boat Shop! 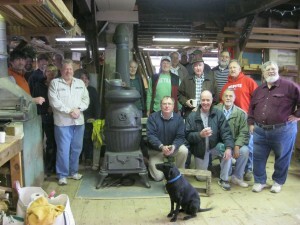 Lowell’s has a stalwart and energetic crew of volunteers to thank for much of what is accomplished at the Boat Shop. Our volunteer program is vital to Boat Shop operations and offers individuals a “hands on” experience in working at America’s oldest boat shop. Diverse opportunities abound! We love to have those with some sort of experience however none is necessary. Our buildings and boats are always in need of attention. Individuals with boating experience may find a niche on our waterfront, and we welcome help with events, education, marketing and development. Our regular woodworking crew meets on Mondays and Thursdays from 10-3. Our volunteer woodworkers are a dedicated crew, and welcome anyone with an interest in the shop at any level of skill. They tackle all sorts of projects around the shop, and craft all of the shop’s signature wood products. These include: dory window boxes, cutting boards, coasters, knives, etc. If woodworking is not your game then we have openings for docents, volunteer office staff, event help, etc. From the novice to the experienced, your participation will make a difference. Please join us at the Boat Shop as we usher Lowell’s into its third century of operation. For additional information about volunteer opportunities call 978-834-0050 or email: info@lowellsboatshop.com.